DPA’s miniature microphones are highly regarded the world over, particularly in the broadcast, theatre, and live‑sound markets. Their reputation stems primarily from their sound quality, of course, but they are also renowned for their reliability, and astonishing versatility thanks partly to DPA’s ingenious range of accessories and fittings. Developed in the mid 1990s, the DPA 4060 remains in production largely unchanged after almost 20 years, with a broad family of ‘spin‑off’ models offering lower sensitivity, a variety of polar patterns, and myriad different mounting arrangements optimised for a wide range of different applications. Last year, though, DPA introduced a brand new impedance‑converter technology for the 4060 and related miniature microphones. Currently available alongside the ‘Legacy’ models, the upgraded ‘Core’ models feature a far more sophisticated impedance‑converter circuit, the design of which reduces distortion and increases the headroom of the capsule to give an extended dynamic range. The extent of this benefit varies slightly with the different models, but in the case of the 4060 it delivers a 6dB higher peak SPL capability, managing 129dB instead of 123dB for 1 percent THD. The self‑noise figure remains the same as the Legacy version at 23dBA, as does the sensitivity at 20mV/Pa. This performance is directly comparable with many traditional DC‑biased small‑diaphragm capacitor mics, but the 4060’s smaller body size yields an even more accurate omnidirectional polar pattern at all frequencies. When fitted with the standard ‘soft‑boost’ grid, the frequency response is ruler‑flat from 20Hz to about 8kHz, and then exhibits a gentle 3dB ‘presence peak’ centred at about 14kHz, with the response tailing off smoothly above 20kHz. An optional ‘high‑boost’ grid (which has a lower grille top than the soft‑boost version) provides a much stronger boost (10dB centred at about 12kHz), which is intended to compensate for the reduced high‑end captured when the mic is placed on a performer’s chest. The greatest dynamic range improvement brought by the Core technology can be found in the 4061 Core model, intended for higher‑SPL applications. Here the dynamic range is extended by 14dB and the mic can manage a whopping 137dB SPL at 1 percent THD. Apparently, the Core technology will eventually be used in almost all models, but for the time being the original Legacy models are still being manufactured alongside the new Core versions, mainly to ensure performance consistency with capsule replacements in long‑running theatre shows. I recently acquired a stereo 4060 Core set for my own mic collection, partly as I wanted to develop my options for wildlife and environmental recordings, but also because the sheer versatility and quality of the 4060 is almost without parallel. When push comes to shove, there really isn’t much that can’t be recorded with a couple of DPA 4060s: grand pianos, double basses, acoustic guitars, orchestral solo strings, drums and percussion, voices... You name it, a 4060 can be attached somehow, almost always with extraordinarily good results. Moreover, these mics are small enough to become virtually invisible, which can often be an important consideration, too. 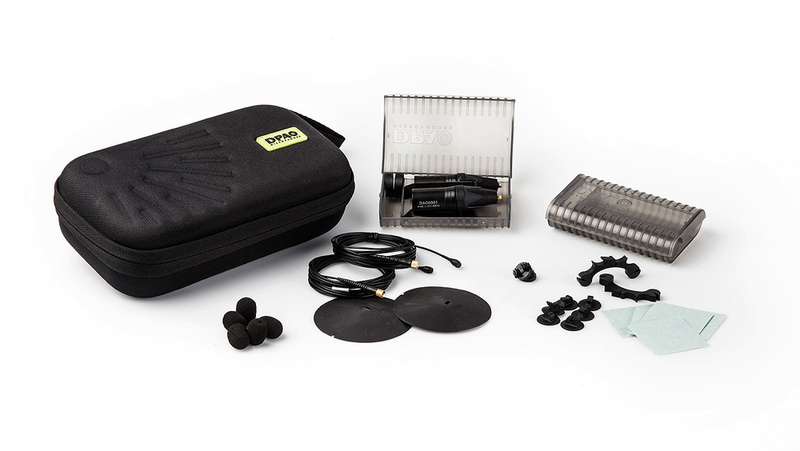 The Stereo Microphone Kit is supplied in a zip‑up hard case, an internal pocket storing a couple of basic application leaflets. I’ve used 4060s since they were first introduced, but for those less well versed in the company’s wares I’d have liked to have seen the inclusion of a more detailed and comprehensive user manual. Inside the case, two small plastic boxes and a foam insert accommodate all the accessories, starting with two rubber boundary‑layer mounts (BLM6000‑B). At first sight the 4060 Core mics look exactly the same as the Legacy versions — after all, it’s only the electronics inside the capsule itself that are different — but closer inspection reveals the word ‘core’ printed in very small white letters on the side of the mic body. Serial number labels for the two mics and the accessories kit are affixed inside the case, and these also identify them as Core versions. As with all of the d:screet miniature mics, the cables terminate in microdot connectors, and these can be screwed onto the XLR adaptors (DAD6001‑BC) provided in the accessories boxes to provide a balanced output and to accept phantom powering. These are fitted with belt‑clips as standard, and while that’s very useful when used with extension XLR cables, the length of the clips prevents the XLRs being plugged directly into equipment like recorders or preamps. However, the clips can be removed very easily and replaced with a couple of provided spacer rings, after which the XLRs can be plugged directly into XLR sockets. Other included accessories are a pair of clips to fit behind the bridge of orchestral stringed instruments (MHS6005), a pair of magnetic mounts (DMM0011), five universal surface mounts (DMM0007) complete with a pack of self‑adhesive pads (ADH0005), and five foam windshields (DUA0560). 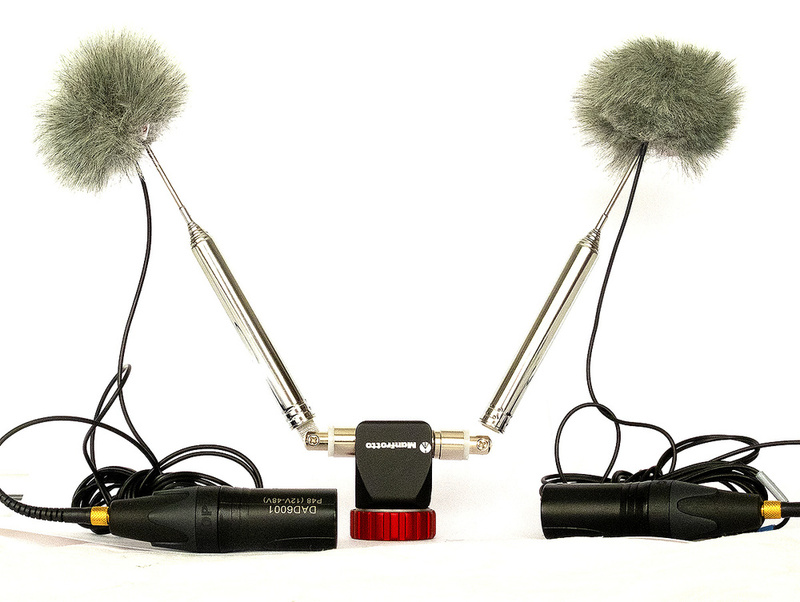 For my own purposes, I expanded this already comprehensive kit of parts with an additional pair of four‑way crocodile clips (SCM0013‑B) for quick and easy clip‑on applications, and a pair of Rycote Lavalier Windjammers. The 4060 Stereo Microphone Kit is very well packaged and easy to use, and the accessories are all so cleverly designed that they can be employed in myriad applications with remarkable ease. The only slightly fiddly option is the boundary‑layer mount, because it requires the microphone’s ‘soft grid’ cap to be removed before installing the capsule into the rubber sheet. That said, once set up the BLM adaptor works brilliantly, and is very discreet. I experimented with the pair laid on a parquet floor directly under a grand piano and achieved a very respectable recording. Similarly, attaching the bridge mount to my daughter’s ’cello was fast and simple, and allowed good‑quality and very consistent recordings to be made. I also rigged the 4060s alongside a pair of spaced Sennheiser MKH20s to record a choir rehearsal, and the two stereo tracks are actually quite hard to tell apart! Several other manufacturers offer miniature mics, but few can match the extensive range of mounting accessories or the proven reliability and quality of the DPA 4060 Core. Seasoned wildlife and environmental sound recordists tend to be big fans of the DPA 4060, often used with the ‘industry standard’ wire coathanger stereo mic mount! Not only does this provide the perfect spacing for stereo omni capsules, it is also ideal for suspending from a convenient tree branch or, by inverting the hanger and straightening the hanger loop, impaling into the ground. However, I was looking for a much more compact and versatile solution that I could use with my Manfrotto Nano Stand (www.manfrotto.co.uk), and came up with a telescopic stereo mount based around a couple of DAB antennae screwed into an F‑type coupler clamped in a Manfrotto Pico Plier mount. The aerials and coupler cost just over £10, although the Pico mount more than doubled the overall investment (it is very elegantly engineered, though, and will undoubtedly have other uses). So, admittedly a more costly solution than the traditional wire coathanger purloined from a hotel, but it provides considerably more versatility, and can be packed away easily into the DPA’s carry case. Setting up simply requires the telescopic mount to be attached to the Nano stand, the DPA 4060 mics loaded into Rycote’s foam windshields, and then inserted into the lavalier windjammers alongside the ends of the aerials — the work of a few seconds. Mic spacing and positioning can then be adjusted by extending and angling the aerials as necessary, and the whole array has proven to be very stable and reliable in use. I recently had the opportunity to observe the complete manufacturing process at DPA’s factory near Asnæs on the West side of Denmark, and was amazed at what is involved in building and carefully calibrating each capsule to very fine tolerances — especially as the (almost entirely female) production staff have to view their skilful handiwork through stereo microscopes! The scale of this miniature engineering is difficult to comprehend, but I was told that if the capsule — which measures 4mm wide by 5.5mm long — was enlarged up to the size of a soccer pitch, the gap between diaphragm and backplate would equate to a membrane stretched tightly just two metres above the grass! And even at this 20,000x upscale, an uncomfortably loud sound pressure level of 114dB would result in deflection of just 4mm — so the actual diaphragm’s movement in the real thing is mind‑bogglingly small! Given the types of applications 4060s find themselves in — used outdoors in all weathers, and covered in makeup and sweat on stage — it’s reassuring to know that the capsule’s outer cover and housing are protected with a water‑repellent ‘nano‑coating’, and the electronics are completely hermetically sealed. As a result, the 4060 Core capsule achieves an IP58 rating, which means it is completely impervious to dust and can survive immersion in water to a depth of 1m for at least three hours without any damage. Superb sound quality, comparable with traditional small-diaphragm capacitor mics. Extraordinary versatility with comprehensive mounting accessories. A more detailed user manual would be useful. Components this good aren’t cheap! A highly versatile and excellent‑sounding set of stereo mics, which come with a wide array of accessories to suit almost any recording application. Sound Network +44 (0)20 3008 7530. DPA USA +1 303 485 1025.